Spots are going FAST & the price will go up. It will be SOLD OUT soon. Offering everything from the previous conferences and then some. Start saying it and sharing it. If we believe it then we will save more lives. I am proud to say It’s Worrh The Risk! This is what Leadership looks like. Chief/Captain Mike Lombardo continues to lead and give back. This is the type of Fire Officer you should be looking to follow and choose as a mentor. Photo credit. Fort Washington Fire Company. HROC 2016 is over half sold. We will have most all of the previous years speakers and instructors. We will hook up and flow off the occupied Hilton Hotel standpipe system. You will stretch down hallways on the upper floors and flow water. This conference covers all tactics necessary at low rise, mid rise, and high rise buildings. 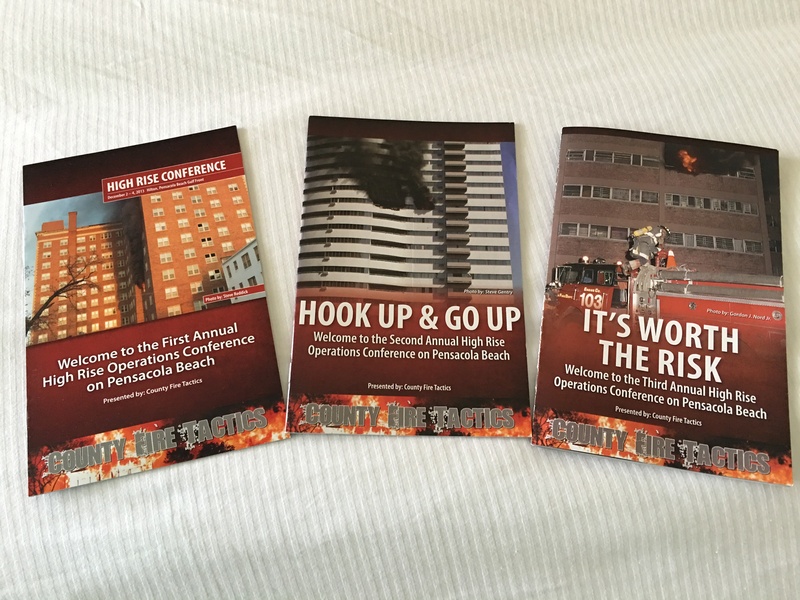 This is a conference for all firefighters that could respond to a multi-story building and deploy vertical fire attack tactics. The current price is $300 for all three days, free transportation once you arrive in Pensacola. Free Shuttle from the Pensacola Airport on Monday December 5 and free shuttle back to the airport on Friday December 9. All attendees should arrive on Monday and stay until Friday. The conference is 8-5 on Tuesday, Wednesday, and Thursday with nightly networking/social events. Thursday night will be the end of the conference party with a HUGE RAFFLE. Come be a part of Stretching & Flowing in a High Rise Hilton on the Gulf of Mexico. This is a conference you don’t want to miss. FREE BEER each night with discounts at all most all establishments on Pensacola Beach. Price is currently $300 and will go to $350, then $400 and if spots allow $450 October 1.
sign up for email notification of half price registration. Will open registration at $125 for only 24 Hours. Regular Price $250 and late $300. go to bottom of homepage to sign up for follow/email notification. Take away notes for Leadership in the Real World class handout click link below!